No French terrorist who went to cut off heads in Syria lost his citizenship. The magazine Charlie Hebdo is now receiving new death threats, and no major French publication expressed solidarity with their murdered colleagues by drawing Islamic caricatures. Many of the French intelligentsia have been dragged in courts for alleged “Islamophobia”. 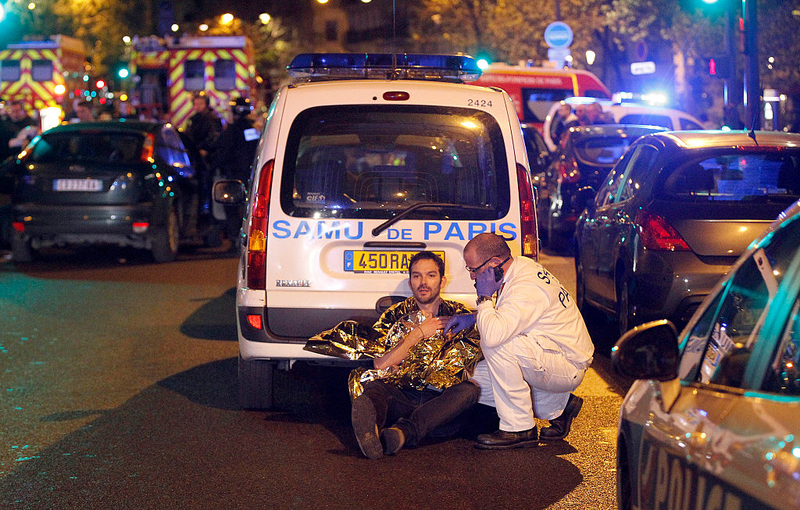 France “sacrificed the victims to avoid fighting the murderers”. — Shmuel Trigano, sociologist. In 1939, a Spanish anti-Fascist journalist, Manuel Chaves Nogales, fled to France, where he witnessed the collapse of the French Republic under German assault. His book, The Agony of France, could have been written about today. Nogales wrote that while the German soldiers were marching through Paris, the French were swarming out of movie theaters, “just in time for the apéritif at the bistro”. After two French girls were murdered by an Islamist in Marseille last month, the social commentator Mathieu Bock-Côté wrote that France is experiencing “a process of national and civilizational decomposition that the authorities have decided to accompany and moderate, without claiming to fight and overthrow it, as if it were unavoidable”. He seems to have got it right. The San Bernardino Shooting – What Really Happened Behind The Scenes?